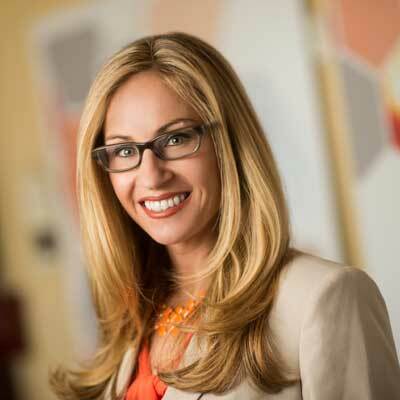 Aimee Catalano is the VP of Corporate & Global Partner Marketing at Pure Storage, where she leads global channel and alliance partner marketing, as well as integrated marketing, brand and creative, and global strategic events. Previously, she was the Vice President of Alliance Marketing at Citrix, where she built and led an organization responsible for go-to-market strategy with strategic alliances, global SI partners, top tier service providers and the company's technology partner program called Citrix Ready. In 2015 she was awarded the Silicon Valley Business Journal Women of Influence Award for her marketing leadership and advocacy of women in technology. Aimee joined Citrix in 2007 from the XenSource acquisition, where she ran channel and alliance marketing. With more than 19 years of experience in the enterprise marketing field, she has also held various roles for companies including IBM, Interwoven and Qumu. Aimee holds a MBA from the Leavy School of Business at Santa Clara University, and a Bachelor's degree in Marketing from San Jose State University. Having both corporate marketing and partner marketing teams in the same organization has a number of benefits as we support the channel business. One example is through the joint accomplishments of our alliance marketing, brand & creative, field and partner marketing teams which supported our Cisco partnership. While I personally co-developed the overall 2017 business plan, the results of cross team collaboration resulted in success for our joint Cisco-Pure partners. We now have Cisco Validated Designs (CVDs) based on the FlashStack reference architecture for VMware, Citrix, Microsoft, SAP, Oracle and Commvault. Additionally, our partner success has enabled us as a company to maintain growth in our business YoY. We've made continual progress on our path to profitability, which is a result of the sustained growth with our partners. As Pure Storage continues it's extremely fast growth pace, and introduces new products, features, and joint technology solutions, our goals are to enhance the partner training and enablement elements of our partner program, and enhance the program elements that support the growing needs of our partner community. This includes the introduction of new certifications, new tools and sales resources, and a deeper level of marketing campaign support. In 2017, I was honored to featured on the CRN Women of the Channel list. I am so impressed with Viola Davis. Last year I had the honor of attending the 2017 Watermark Conference for Women where she was a keynote speaker, and I think of her talk often. Her ability to rise above so much adversity as a child, be truly authentic and a role model for so many young girls and women who may be in similar situations is an inspiration to me. 1. Let your contributions and positive impact to a team or company define you always. While self-awareness of communication style is key throughout your professional and personal life, always be yourself and comfortable in your skin 2. It's ok to strive for excellence in all you do and work extremely hard to achieve your goals, but when issues arise, set perspective and remind yourself you're really dealing with a first world problem here. 3. You live in Silicon Valley. Embrace your love for math and take more engineering classes you can learn the business stuff later. I've always regretted not going down more of an engineering path, especially since math and science were by far my strongest and most enjoyable subjects. While a little tricky at this stage, the skill I'd love to have is a much deeper understanding of software engineering. While I love marketing and have desired a career in marketing since I can remember, having a deeper understanding for how technology products are developed would only make me a better marketer, better cross-functional team member, and better leader. A colleague gave me The Phoenix Project. It is "A Novel about IT, DevOps, and Helping your Business Win". It felt like a front row seat to the author, who was a newly promoted VP of IT. It was intriguing for me to gain a better understanding of a day in the life of an IT professional, including how they perceive different groups and people. My favorite line in the book was "marketing people are likely art or music majors, not people with a technology background, they'll publically promise the impossible and IT will figure out how to deliver."